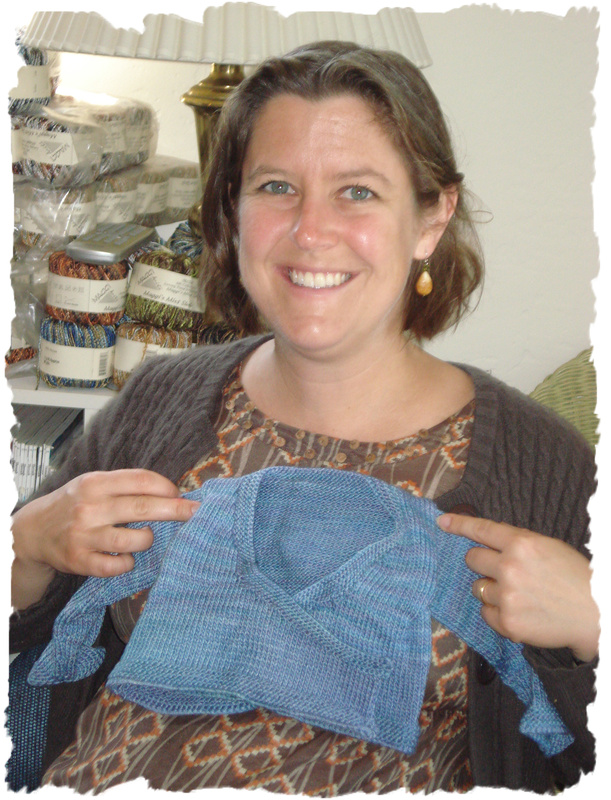 Natasha has been busy knitting for her baby treasure chest and for herself as a new mother. Natasha and her baby son's sweater! I think it’s important to say that she started knitting just a few years ago…and with her quick math mind and nimble fingers she has custom designed many garments for herself. 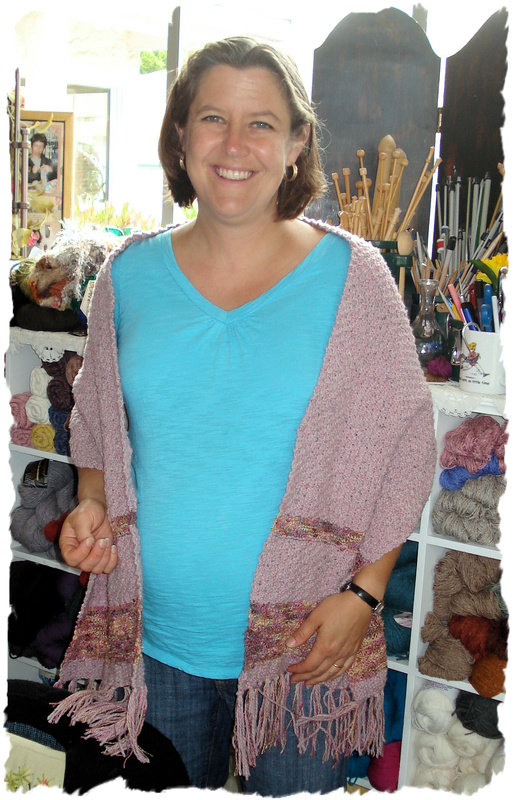 It has been a joy to watch her design and knit! She wears most everything that she knits….and she keeps a great knitting journal. She can refer to it often. And just this weekend she completed her Annie Scarf Stole…which will be most useful to her as a nursing mother…and then many moons past that.